I don't know about you, but I've had plenty of experience with icky, sticky grocery cart handles. Its kind of gross. 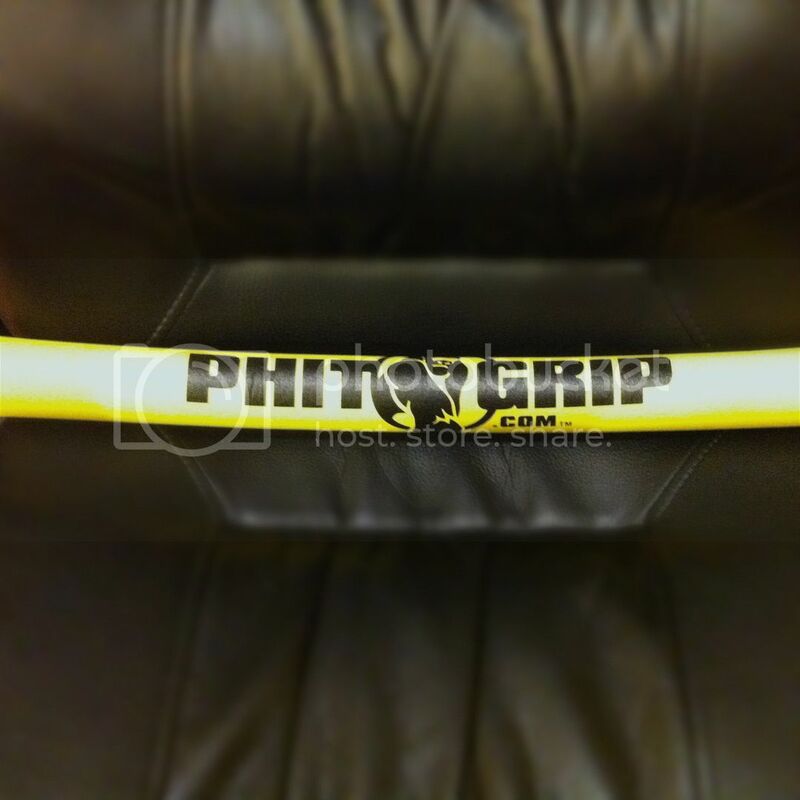 PhitGrip originally a grip for exercise machines and now they have a grip for grocery cart handles, called PhitShop. PhitShop is designed to protect you from those dirty handles. Did you know in 2007, University of Arizona found that grocery cart handles have more germs than public washrooms? That means that we transfer germs every time we push a grocery cart and that includes the little ones that want to help mommy out. PhitShop is made from rubber that has been liquefied, then injected with oxygen to give it a light, cushioned feel. Its lightweight and flexible making it easily stored when not in use and easy to put on and take off the cart. The thing I like is that these grips are coated with an all-natural, mineral based antimicrobial agent that helps to inhibit the growth and spread of bacteria. Rub your hands occasionally after touching the grip to spread the microbial agent over your palms. This layer lasts for 10-12 months before you would get a new PhitShop ($11.99). I know it may not be for everyone but it may be a good idea for those who use wipes all the time to wipe down the handle before using the cart and those with kids. Its more cost-effective and it'll keep germs at bay, keeping your family healthy. Its definitely something to think about. Buy It: Shop online for PhitGrip products. The PhitShop retails for $11.99.